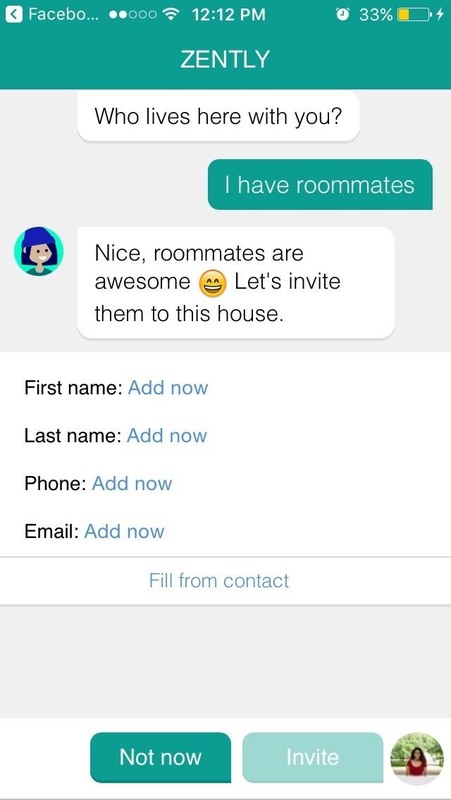 Zently — the mobile app for renters — is taking on Venmo with its newest feature. 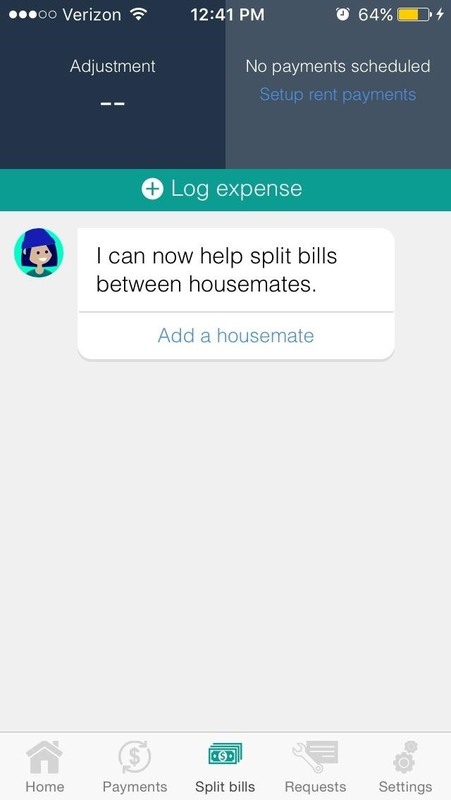 Traditionally used to automate rent payments, deliver rent checks for free, and communicate with your landlord, it now allows you to connect to your bank account and split bills with housemates. Following the addition of Zelle to several major banks apps — to allow users to transfer money to their contacts — the battle of the mobile payment apps is getting increasingly fierce. With this new update, Zently is also entering the ring. 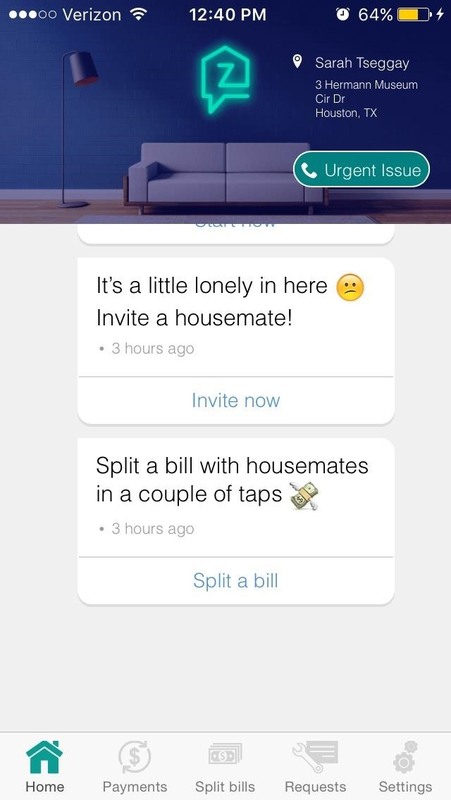 Zently is intended to make managing finances in a shared living space easier. The app mails users' monthly rent checks for free and manages contact between renters and landlords, thus allowing renters to oversee all of these responsibilities in one place. Only launched this year, Zently is a pretty young company, but it has the funds to grow immensely in the future. The app has already raised $1.6 million, so we can expect it to expand and develop significantly. I decided to test Zently to see if it's worth downloading it for the new bill-sharing feature, and, I must say, it's extremely easy to use. To create an account, connect via Facebook or email. The process for setting up your account is fairly simple since an in-app bot guides you through it with step-by-step instructions. split our rent transparently and submit maintenance issues directly to our landlord. I've already set up our rental, so all you need to do is to download the app to get started. Once you create your account and provide the app with all necessary information, you can take advantage of its services. 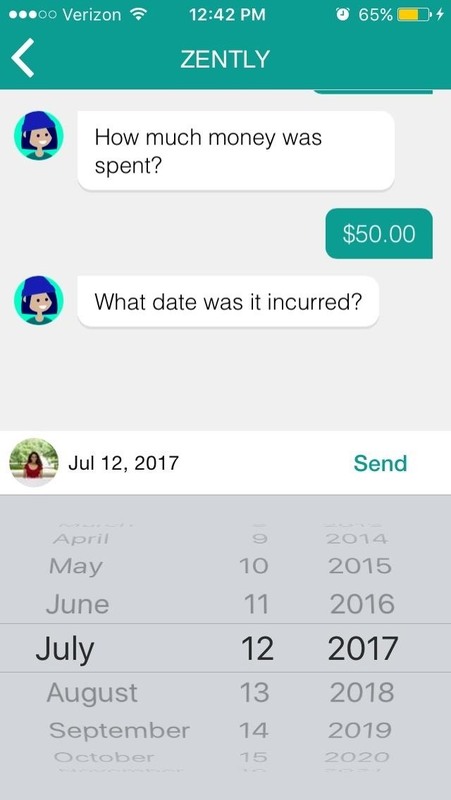 While they all seem pretty helpful, Zently's newest bill-sharing feature is particularly exciting for users. 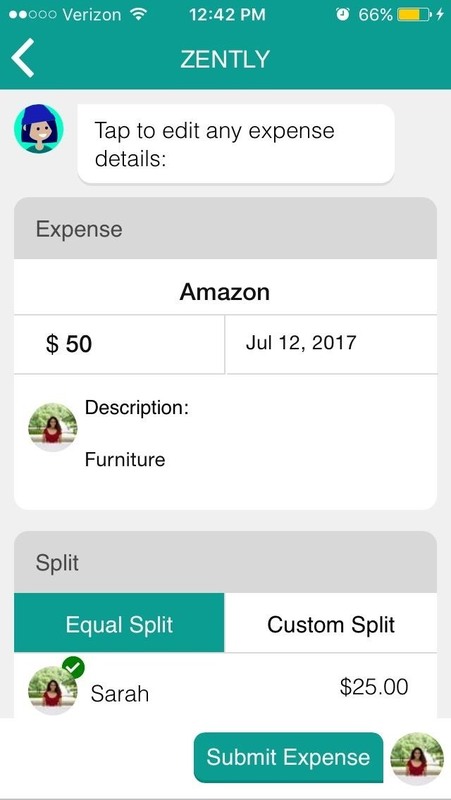 To access the feature, simply select the Split Bills tab at the bottom of the screen. It's important to note that you can only split bills and send payments to people with Zently accounts. 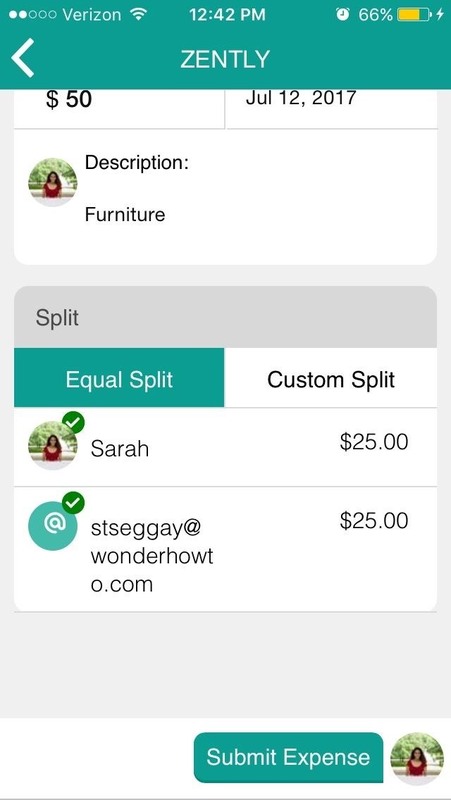 Once your contacts set up accounts on the app, splitting bills with them is simple. The Zently bot guides you through the process, asking you for key pieces of information. To submit an expense, fill in the company the money went to, the total amount of the expense, and the date it occurred. 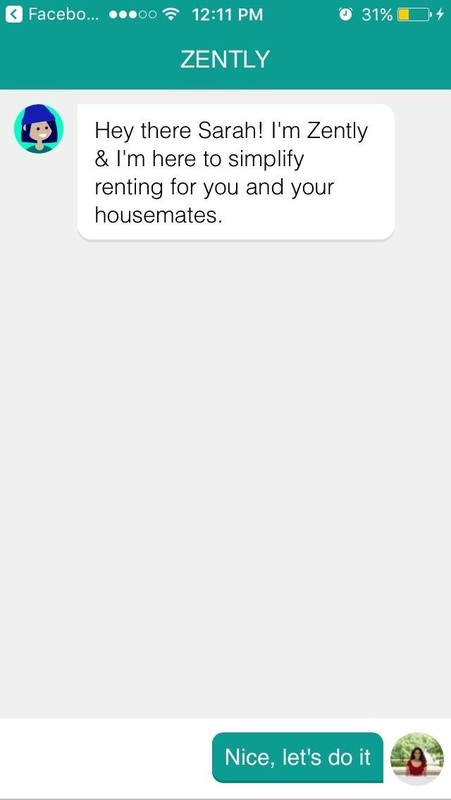 From there, you can add a description of the expense so your housemates know what it was for. To split it, you can choose to split it equally between your housemates or to conduct a custom split in which you set the amount each person pays. This feature is very straightforward and significantly more convenient than requesting money from your housemates on Venmo. By compiling all payments into one expense report, it's easier to keep track of money paid and owed. 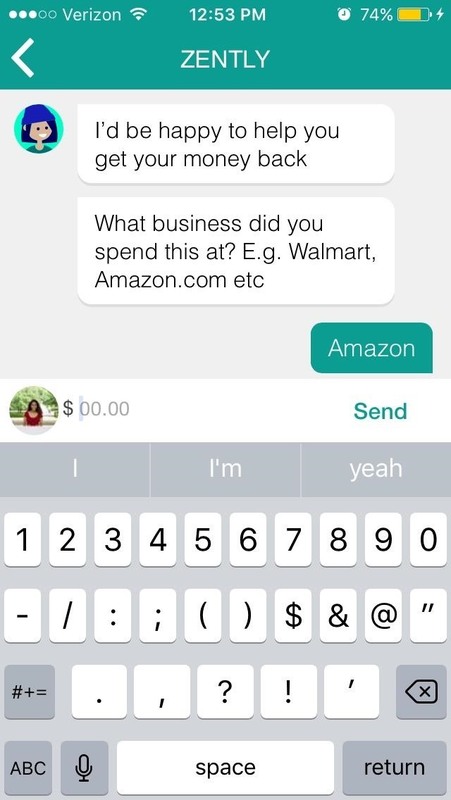 Although this new feature is impressive, Zently has stiff competition. The mobile payment app market has exploded recently, so the young app will have to take on comparable services from Venmo, JPMorgan, Bank of America, Wells Fargo, US Bancorp, and Capital One. We'll see how Zently fares, but I'm betting the odds are not in its favor.